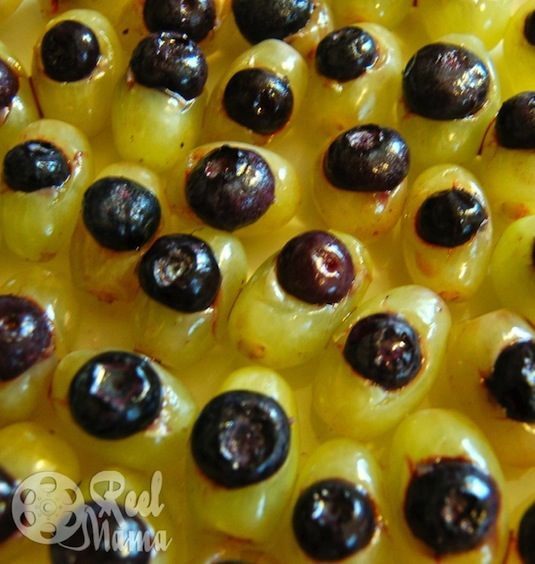 Green grapes and blueberries make for the perfect monster eyeballs! I like the idea of freezing them for punch. You could also use them as an ice replacement in the kids’ drinks. 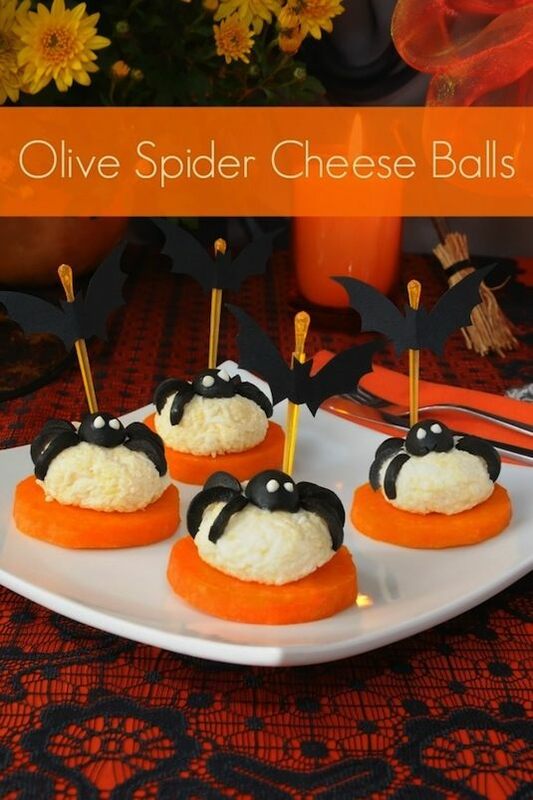 Cover your favorite cheese ball recipe with a black olive diced up to look like a creepy little spider. You can place the cheese on a carrot disk, cucumber disk, or cracker round.